Adjust Brightness, Contrast, Sharpen, Smooth, Color Balance, Gamma Correction, Hue / Saturation to thousands of images / photos at once. 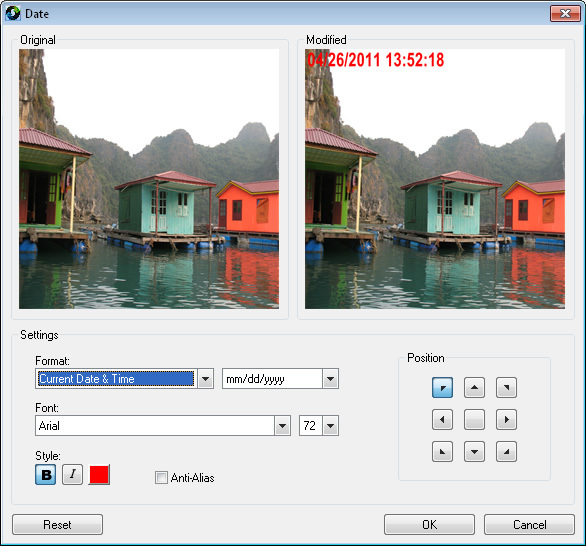 Convert images / photos from RAW digital camera like Kodak, Nikon, Sony, Olympus, Canon, Pentax and more. Wizard style which only involved 3 steps to process your images: Add Photos, Add Filters, Output. 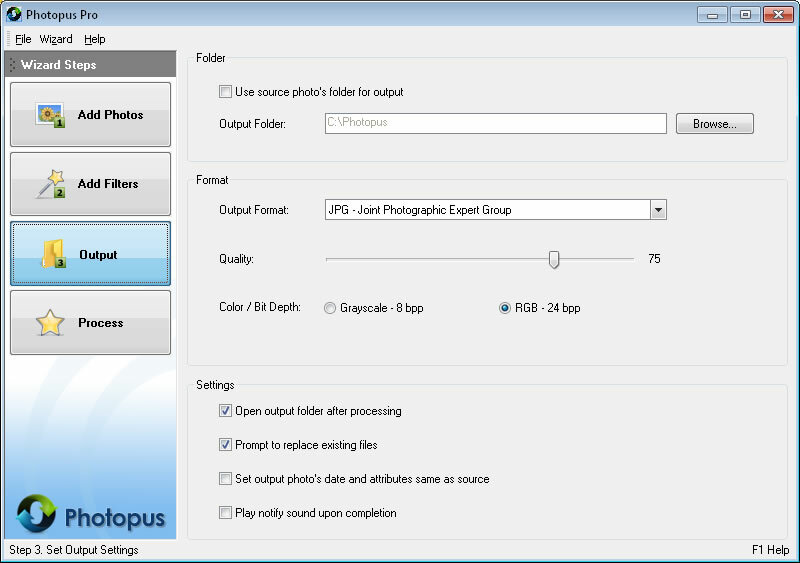 News: 10-22-2018 - Photopus 1.5 Released! 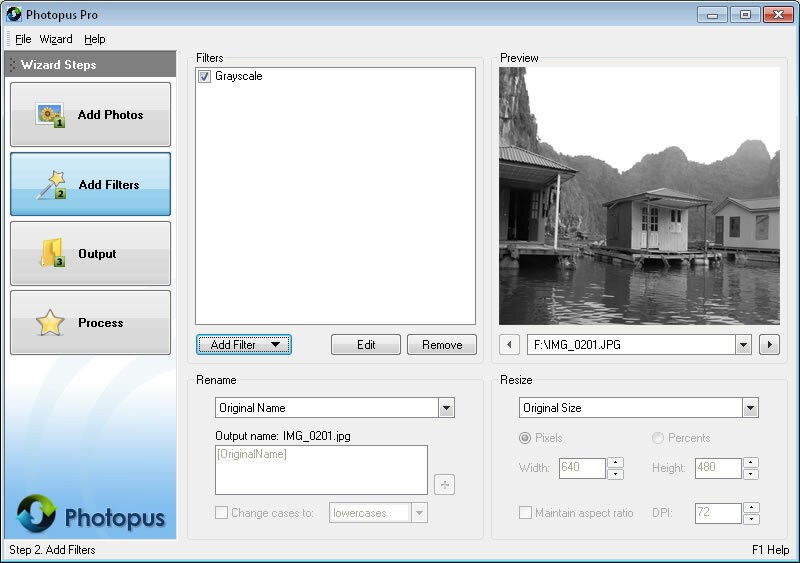 News: 01-24-2017 - Photopus 1.4 Released! 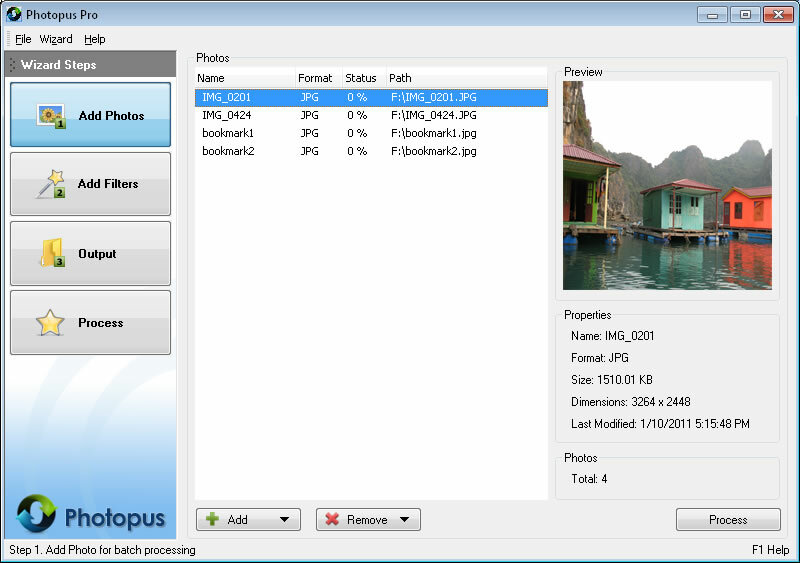 News: 04-24-2014 - Photopus 1.3.0.5 Released! 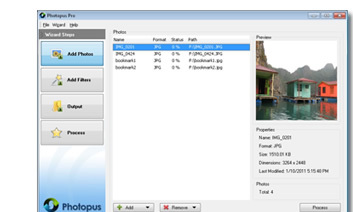 MyPhotoSweeper - powerful software that allows you to find duplicate photos on your computer quickly and easily in a friendly step by step wizard interface.